For those Santa Ana and Culver City families who think the words “cool” and “minivan” can never go together, you’re in for a big surprise when you check out the 2017 Toyota Sienna which encompasses both aspects and then some. With its slick design, driver-centric cockpit, and thrilling powertrain, the Sienna delivers the kind of stylish fun you’d usually only get in a sedan. 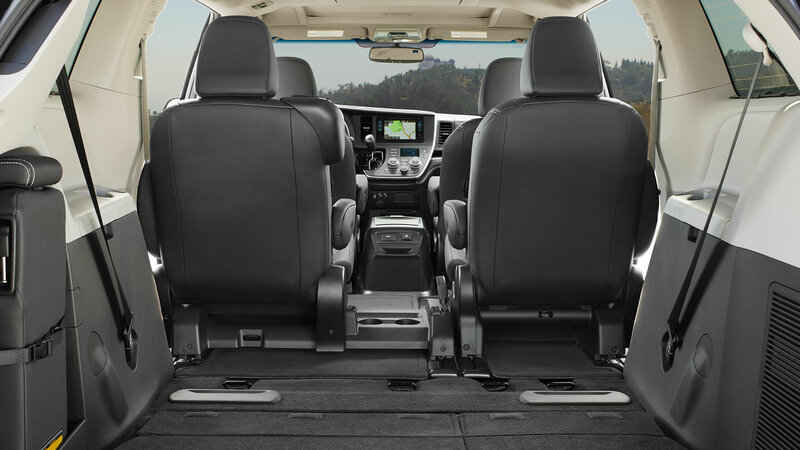 But it also has all the creature comforts and capability you need in a family-friendly minivan, with a bevy of available high-tech entertainment features to really seal the deal. So say goodbye to the stodgy old soccer mom stereotype—show your family what a cool mom drives. Keep reading to find out all there is to know about the exciting 2017 Toyota Sienna. For the new model year, the 2017 Toyota Sienna is getting a few performance-oriented upgrades. The six-speed automatic transmission has been replaced with a smoother eight-speed automatic transmission, and the new engine enhances efficiency and boosts the performance to generate up to 296-hp and 263 lb-ft of torque. It may be big, but the 2017 Toyota Sienna has more than enough power to zoom you along. Its new 3.5L V6 direct-injection engine with Direct Shift-8AT (Automatic Transmission) delivers a blistering 296-hp performance that can turn your daily commute into a real thrill ride, while still getting remarkable mileage ratings of 27 mpg on the highway. * The Sienna isn’t all simple brute force either; it’s also a joy to drive. Its chassis was built with easy handling in mind, sporting 140 spot welds and a stiffer body that improves response and smooths out the overall ride. 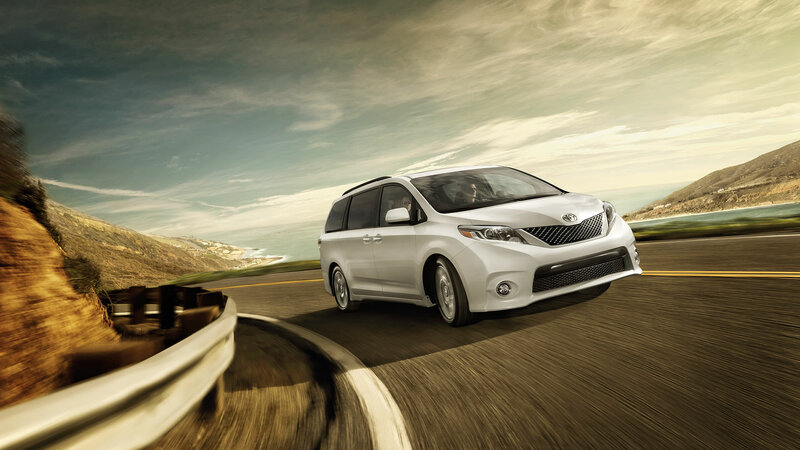 In addition, the retuned sports suspension and steering make the Sienna much nimbler than you’d expect from a minivan. 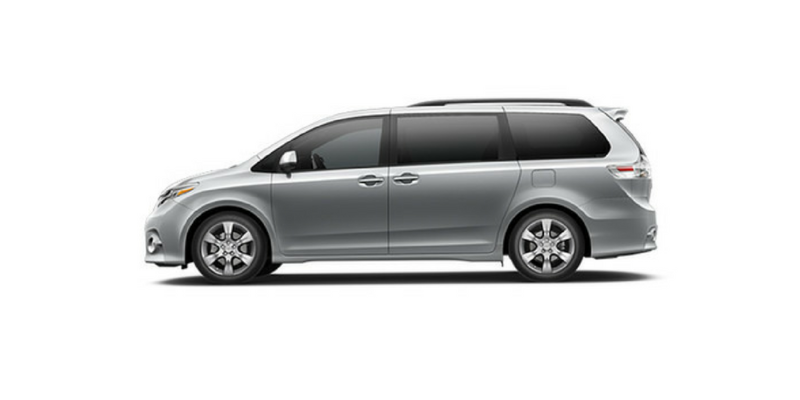 And with built-in air-fin stabilizers to smooth out the airflow, the Sienna offers a quieter and more efficient driving experience overall. The 2017 Toyota Sienna delivers plenty on the performance front, but it still provides all the spacious versatility and comfort you’d expect from a high-quality Toyota minivan. It offers plenty of cargo room, with a spacious 39.1 cubic feet behind the third row and a cavernous 150 cubic feet with the third and second rows folded down. The passenger seats also offer a large degree of flexibility, so you can configure your space to suit almost any combination of passengers and cargo. Accessing all that space is easy too, thanks to its power liftgate and available dual power sliding doors. 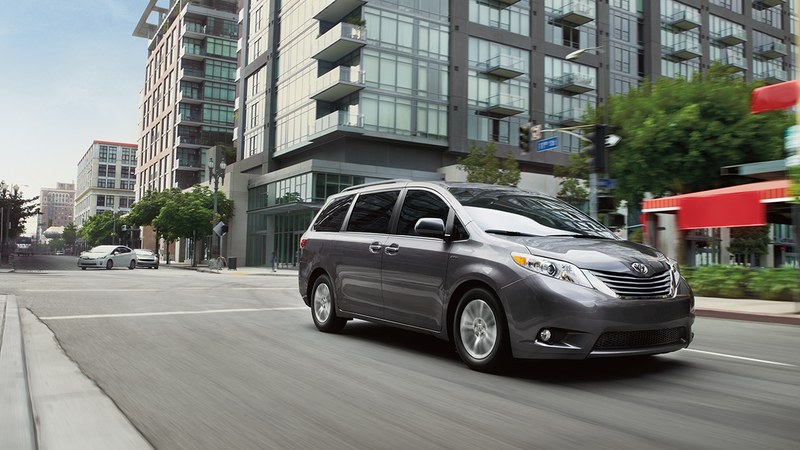 And in terms of comfort, the Sienna offers a truly first class experience. The available leather seating with contrast stitching feel every bit as good as they look, and while the dual moonroof provides a gorgeous view and plenty of breeze for everyone in the vehicle, the real star of the show is the cockpit. 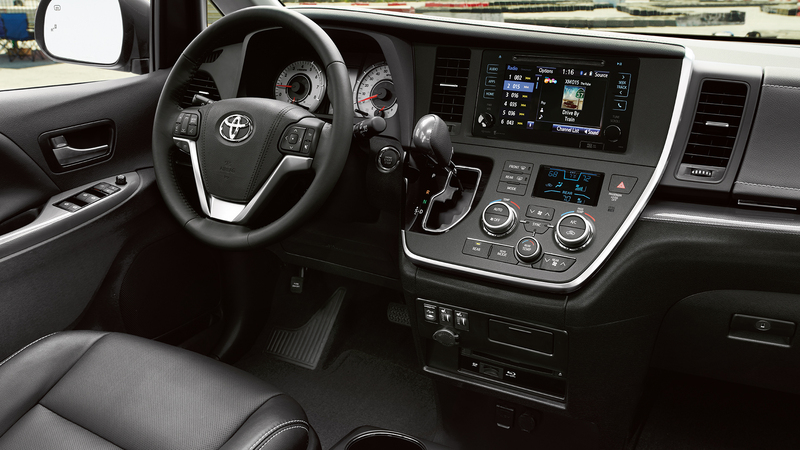 With its wraparound design, wide dashboard, and steering wheel controls, the cockpit provides an environment that’s as convenient as it is comfy. Dual-View Blu-Ray Disc Entertainment Center: Keep the kids happy on those long road trips with this system, which provides a 16.4-in color display, two wireless headphones, a remote, and two 120V AC power outlets. Driver Easy Speak: Sick of shouting towards the back to be heard? Then you’ll love this feature, which uses an up-front microphone to pick up your voice and deliver it to speakers in the rear, so that you’re heard loud and clear. 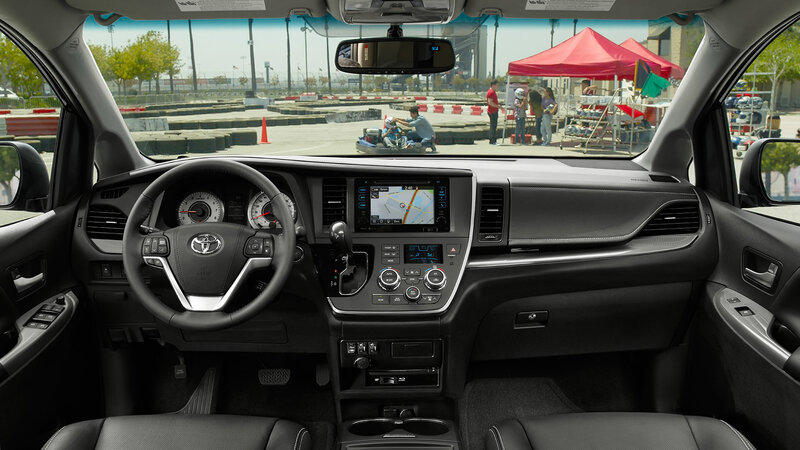 Your safety is of the utmost importance, which is why Toyota has equipped the 2017 Toyota Sienna with several innovative safety features. The Advanced Airbag System equips your vehicle with eight standard airbags, including Roll-Sensing Side Curtain Airbags for each row. In addition, the Star Safety System kits out your car with enhancements like Traction Control and Vehicle Stability Control to keep your ride as safe as possible. And the high-tech Pre-Collision system uses radar technology to monitor whether or not a collision is about to happen and, if it is, engages the brakes and retracts the seatbelts to reduce the shock of impact as much as possible. 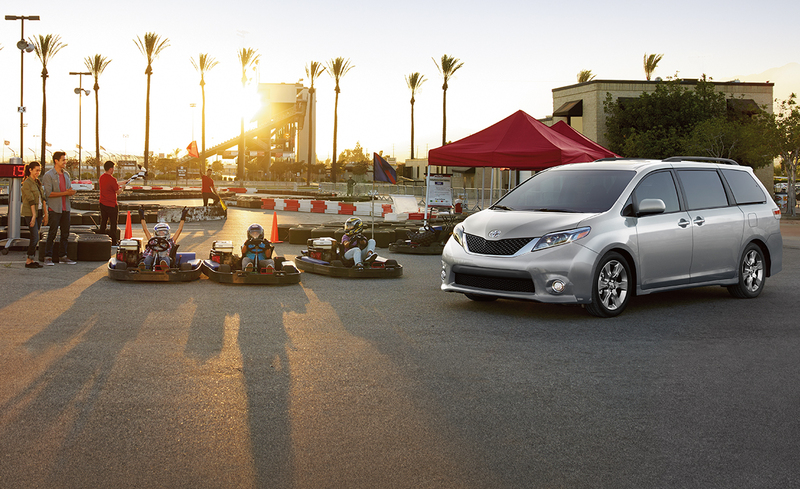 Families across Santa Ana and Culver city are raving about the 2017 Toyota Sienna, and if you want to see what all the fuss is about, you can pay us a visit to Marina del Rey Toyota. Our friendly and helpful sales staff will set you up with a test drive today! * 2017 EPA-estimated 19 city/27 highway/22 combined mpg for Sienna FWD. Actual mileage will vary.